Nora Devine offered an excellent workshop last month on teaching decoding and word analysis skills. Information on this month’s workshop is found on the next page. Looking for a way to update your teaching skills while networking with others in the field of adult education? Consider the day-long, annual conferences of Literacy New Jersey and the New Jersey Association for Lifelong Learning. “Literacy for Life Conference,” Literacy New Jersey’s event on April 21, will feature unique workshops such as “Math Literacy in the Kitchen,” “Understanding Dyslexia,” “Teaching American Culture through Current Events,” as well as sessions on building writing skills, digital learning, and successful job search strategies for students. Keep an eye out for an upcoming segment of the award-winning PBS television program “The Success Files” hosted by Rob Lowe, which will highlight the adult education campaign of ‘Educate and Elevate.’ We’ll keep you posted. Thank you Nora Devine for your helpful decoding strategies tutor support workshop presented last month. We enjoyed learning new techniques and comparing notes with tutors from LVA and Project Literacy of Greater Bergen County. Rokeya, an ESOL student from Bangladesh, has overcome her fear of speaking English in public, thanks to friendships she’s developed with tutors and students at LVA. "How to Address Reading Needs for your Students and Lead Them to Success,"
Rokeya was a primary school teacher in Bangladesh for 35 years before moving to the United States. Now she is on the other side of the desk as a student with LVA where she is learning English. It was a tough transition, but she now says she is comfortable and happy living in America. Still, she misses running into her former students who are now bankers, doctors and business people she taught in Bangladesh. She began teaching in Sylhet, Bangladesh when she was 18 years-old and moved a couple hours away when she got married at 21. Her husband worked for The Bangladesh Tea Research Institute as an administrative officer and their home was set among the beautiful tea gardens there. The institute is responsible for solving various problems growing and manufacturing tea and represents the industry as a whole. Rokeya and her husband raised their three children before he retired in 2011 from the institute. Now part of the family lives in Bloomfield and one daughter and her family remain at the family home in Bangladesh. Rokeya stays close to her daughter and granddaughter in Bangladesh by using her tablet for talking or Facetime every night. She initially began learning ESL with Sister Catherine and recalls her fondly. “She started to help me learning English, she was like my mother,” Rokeya said. Rokeya goes to the bank, shows and the library by herself. “Now I am not scared at all. I am very comfortable, now,” she said. 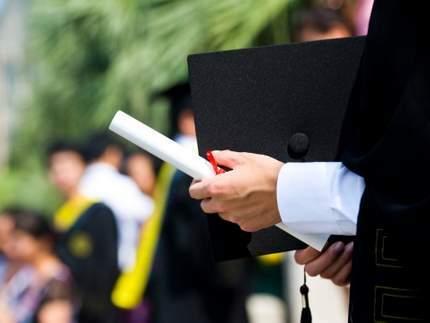 The number of New Jersey adults taking the high school equivalency test plunged from nearly 17,000 in 2013 to fewer than 9,000, both in 2015 and 2016, after changes made the exam harder and pricier. The passing rate also dropped markedly, from nearly 70 percent to roughly 55 percent following the changes. Those are the findings of a report released Monday by the Center for Women and Work at the Rutgers School of Management and Labor Relations. -The test became more difficult, aligning with Common Core State Standards. -A computer-based test, requiring basic computer skills, replaced pencil and paper. If Charles Bateman were a character in a novel, he’d definitely be the hero. He’s spent his life learning, teaching, and seeking new opportunities to help others. His latest efforts have led him to LVA where, as a volunteer tutor, he helps adults learn English. As a child, his mother sent him to summer school, not because he needed help, but to keep him off the streets in Newark. It continued on weekends too, when his mother sent Charles and his siblings to the library so she could clean the house. By the time he was 13, he had developed a love for reading which he shared with others throughout his life. After high school he went into the military, got married and had a daughter. When she was four, Charles became chairman of the Parent Advisory Committee in her Head Start program. Because of his exemplary work, the principal recommended that Charles become a teacher. At the time he was working at the post office, but realized he wanted more. He attended Newark State Teachers College, now Kean University, and was on the Dean’s List all four years. He was offered a scholarship to Columbia University Teachers College and earned a master’s degree there. He taught high school and, later, taught English and drama for 23 years at Essex County College. 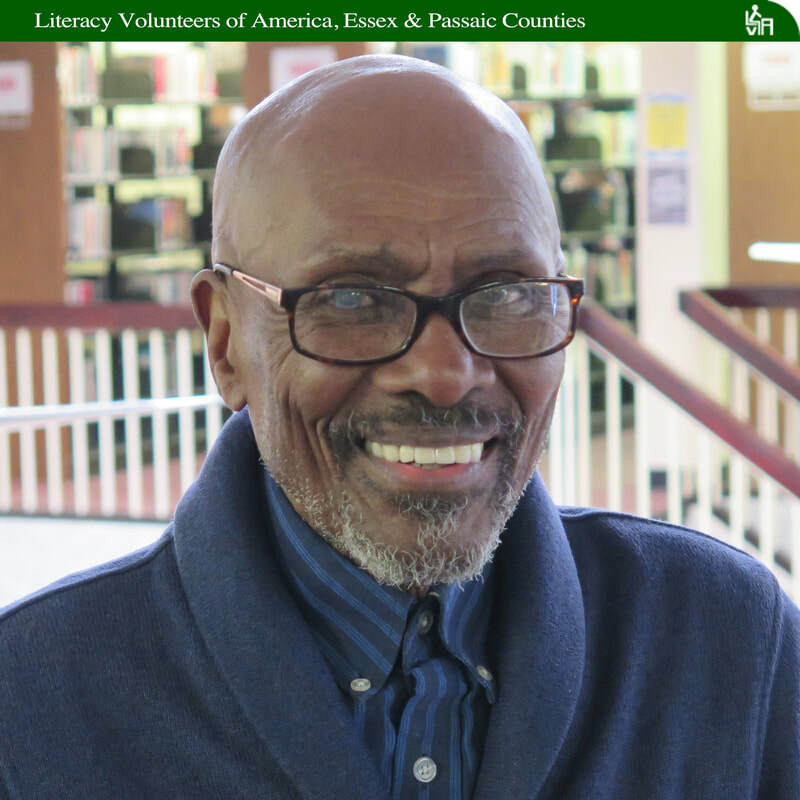 Along the way, Charles earned a second master’s degree, this one in liberal studies, and, in the wake of the Newark riots of 1967, worked through a local organization to unite residents and fight for Newark school funding. So how did this learned and spirited man end up at LVA? It was the idea of his wife, who suggested that, in his retirement, Charles become a substitute teacher and volunteer tutor. At LVA he has two ESOL students, one from South Korea and another from India, who never miss a lesson.